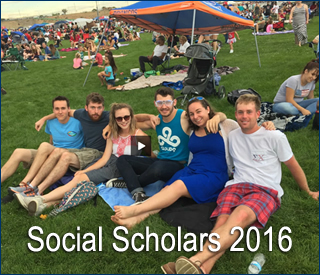 At AFRL New Mexico, the AFRL Scholars Program offers summer internship opportunities in research-based projects. Join our team and spend your summer researching the exciting technologies in Directed Energy and Space Vehicles, gain valuable hands-on learning experience under the mentorship of full-time AFRL scientists and engineers, and develop relationships with other scholars that will last a lifetime! Learn more in our printable brochure or select an option from the menu above. Internships are typically 10–12 weeks, with a minimum requirement of 8 weeks. Extensions up to 14 weeks can be approved based on mentor need and funding availability. Phillips Scholars offers internship positions to undergraduate students interested in STEM fields. The possibilities are endless! High School Scholars offers internship positions to upper-level high school students interested in pursuing educational opportunities in university STEM degree programs. Additional eligibility requirements may apply.